Karauli witnesses two religious fairs and one Animals Fair, which are more of localized nature and much different in nature. 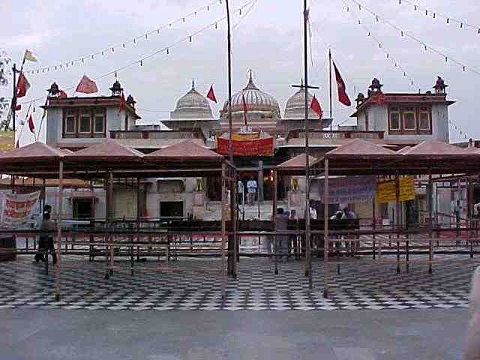 The religious fairs take place during March-April and Sept-Oct located at the temple of Kaila Devi Ji, which is around 20 kilo meters from the Bhanwar Vilas Palace and is located on the banks of Kalisil River in the Trikut hills, at a distance of 2 km from Kaila village. The Kaila village location is nearly 24 kilometers from Karauli City. The fair is celebrated with the participation of Yadavas, Khinchis along with the princess of Karauli for paying their homage to Kaila Devi Goddess considered protector of human race. The best attraction of the fair is performance of the rituals by successors Goli Bhagat coming from Agra with large number of followers. Karauli is a devotional city of Rajasthan in India surrounded by ancient temples. Devotees from far and wide throng here to celebrate the religious festivals. 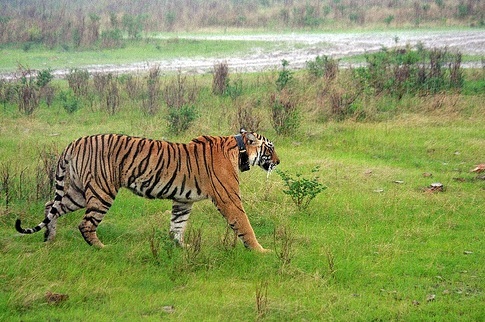 It is situated around 160 km away from Jaipur, being state capital of Rajasthan. Karauli city location is 64 km away from Mahuwa, which is in at the middle point of Jaipur-Agra Highway. 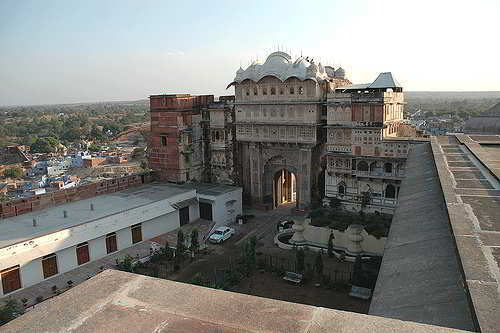 It is believed that Karauli Old City palace, in Rajasthan, was built nearly 600 years before in the midst of 14th century, by the Royal Family. It has rich history of heroism and sacrifice woven with its name. Thereafter during 1635 the Fort and a Splendid City Palace came into existence. The Karauli City Palace became the official Residence of the Royal Family till 1938. It was at this time that extremely modern Bhanwar Vilas Palace constructed under the rule of Maharaja Ganesh pal Deo Bhadur. The city of Karauli is surrounded by Red Stone fortification wall, having bastions for full security. The entrance to the Karauli city is through six gates and there are 11 posterns within the walled structure. The most recently built City Palace has the 18th century construction and the pride of the past is Ornamental Stucco work along with frescoes.